Published by EA Sports, Madden NFL 17 is an American football sports video game. It is based on the National Football League and is available for the Xbox 360 and Xbox One, PlayStation 3 and PlayStation 4. Madden 17 was released on August 25 of 2016. The game brought in the new mode “Draft Champions” to Madden. Madden NFL was announced on EA Sports website in late July of 2016. Few months before that EA informed that Madden Ultimate Team fans will have an opportunity to purchase Madden NFL 17 Deluxe Edition just like they could in Madden NFL 16. Madden NFL 17 Deluxe Edition (for an extra $40) will include the game along with $50 worth of Ultimate Team packs. During the game development, it was announced that EA team was working greatly on game aesthetics. That was done improving new player spotlights, innovative on and off-the-field cameras as well as dynamic goals and achievements. This time it was EA Sports decision not to have players voting for the cover athlete through the traditional bracket. It was decided to vote through Ultimate Team on the console devices or through collectible cards in Madden NFL Mobile. 4 finalists for the Madden 2017 game cover were announced on May 4, 2016. These finalists were: New England Patriots tight end Rob Gronkowski, New York Giants wide receiver Odell Beckham Jr., Arizona Cardinals cornerbackPatrick Peterson and Pittsburgh Steelers wide receiver Antonio Brown. Later already 2 finalists were announced: Rob Gronkowski and Odell Beckham Jr.. Beckham Jr. won against Gronkowski and became the cover star of Madden 17. Following the votes, he also became the cover athlete for Madden NFL Mobile, changing the Madden 16 cover star Richard Sherman. Some changes were integrated in Madden NFL 17 regarding the game soundtrack. The game publishers, EA, announced that EA Trax would be re-integrated into the Madden 17. And it has been absent in previous 3 installments. The game soundtrack was also available in Spotify. 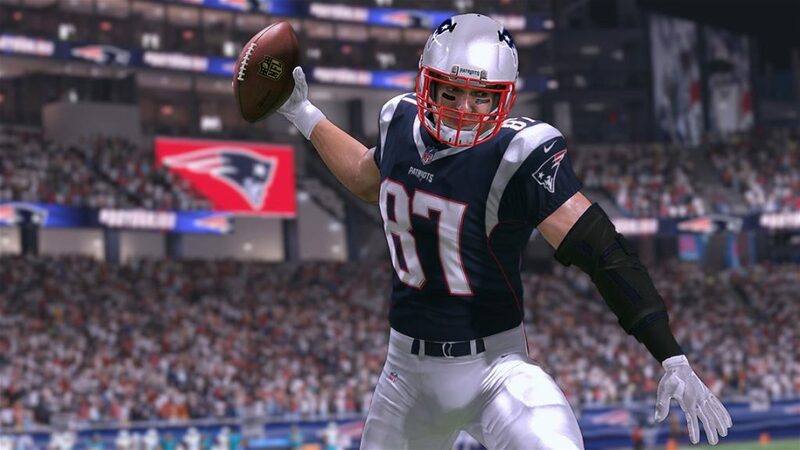 After its release, Madden NFL 17 received positive critics’ reviews. Many of them observed its improvements to the passing game and the new Draft Champions mode. Regarding to some of them, this mode was one of the best features to Madden NFL 17.